Create a Christmas theme for your home with free Christmas quilt patterns. 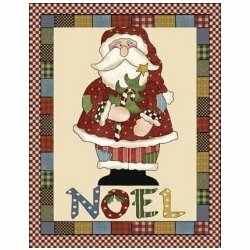 Christmas theme quilt blocks, appliqués and colors can be used for home decorating, gifts, clothing and accessories. 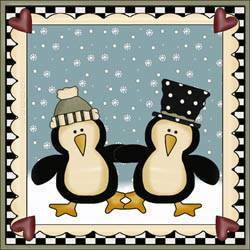 Christmas bazaars and fundraisers are perfect for your quick and simple quilted crafts. 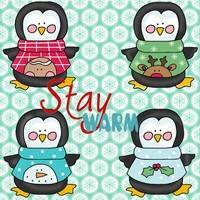 Add Christmas appliqués to shirts, bags, kid's clothes and home décor items to spread holiday cheer all season long. Easy appliqué makes fast work of last minute Christmas gifts and fundraiser items. 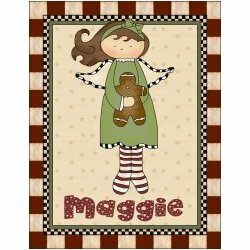 Below are not only Christmas quilt patterns, but also patterns for quilting patterns for Christmas stockings, table runners, Christmas tree skirts and wall hangings. Here's an easy round Christmas ornament with a folded fabric star. Make beautiful quilted ball ornaments that will add to your Christmas trees decor. Make this sweet red berry ornament with Christmas holly on top using this easy to follow pattern. Create adorable Christmas tree ornaments with fabric scraps, buttons, rick rack and more. Fabrics in hexagon shapes are sewn together to create a lovely flower Christmas ornament. 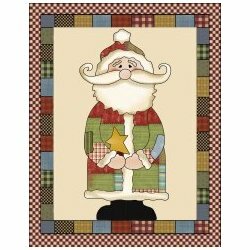 Make this wall hanging with Santa surrounded by trees. This is a 12” block of a Santa face. 4" paper pieced quilt block from AZ Patch. Using an old quilt or bed spread and this step by step pattern you can easily make an adorable Christmas stocking or make several to give as gifts. This charming country stocking is made with strips of fabric in alternating colors and prints. Here is a simple pattern for creating one or several beautiful Christmas stockings out of fabric remnant. Make a teacher this adorable Christmas stocking with a school house, apple, bell and school bus on the front. Free pattern for a rather large and attractive lime green stocking with candy canes and a curled up toe. Using an assortment of fabric remnants and this free pattern you can make your own crazy quilt Christmas stocking. 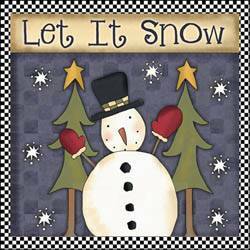 This cute snowman has a big smile on his face and is holding a star for a very special Christmas stocking. A 15-1/2" x 45-1/2" pieced table runner pattern using 12” blocks. 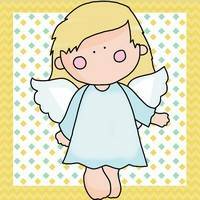 This makes a 12" block, a 48" table runner, or 12" x 16" placemats and is paper pieced . Christmas Wonderland theme placemats and table runner with very nice instructions and diagrams. 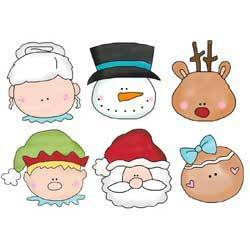 If you are looking for Christmas applique patterns, NorthPoleChristmas.com has tons of patterns in many Christmas categories. 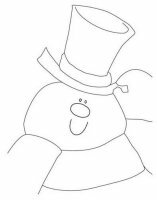 Click on the snowman at the left to view a printable pattern. 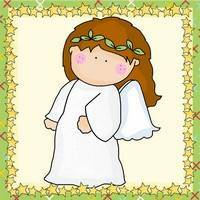 Christmas trees, angels, gingerbread men and other Christmas patterns to use for applique or quilts. 12 different blocks depicting the 12 days of Christmas.